Simply print and fold this adorable reader! Students can read and illustrate the pages that tell about a bear in winter. 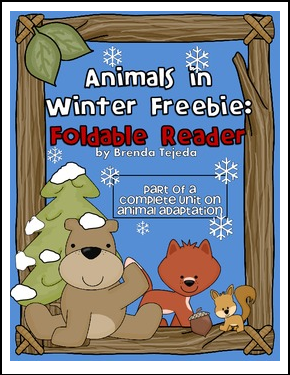 If you like this, you'll LOVE my Animals in Winter Unit, which has 8 more animal readers, and soooooo much more for your animal adaptation unit! Don't forget to 'follow' me for notifications of more fun stuff!